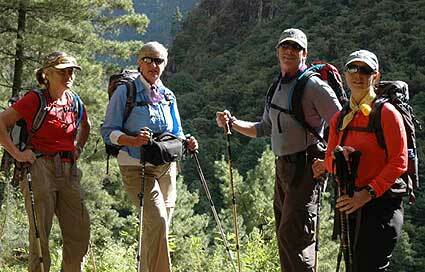 Hello this is Ang Temba calling from Namche on the Berg Adventures Everest Base Camp Trek. 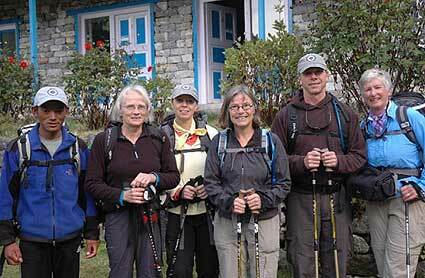 We arrived in Namche today and all the members are doing very well. Yesterday was a great day, the weather was awesome with clear skies and we flew on time to Lukla. 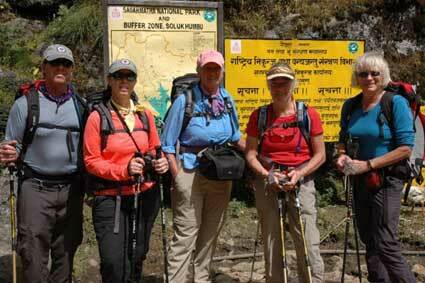 We hiked to Phakding yesterday and today we hiked to Namche in great time. All members are doing fine and with such clear weather members were able to see their first big mountains. Tonight we will be at Panorama lodge. Tomorrow if it is still clear we will go to the Everest viewpoint to get our first glimpse of Everest and other mountains like Ama Dablam. 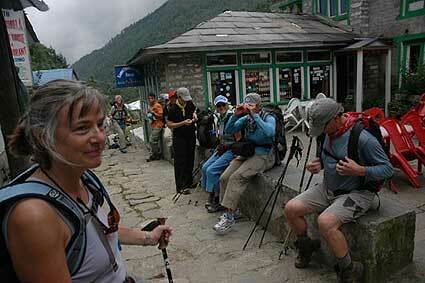 After that we will enjoy a rest day in Namche and do some shopping at the local shops and visit friends. So that is our schedule for today and tomorrow, bye for now.